Andrew Lloyd Webber's iconic 1970 musical Jesus Christ Superstar arrives at the Barbican Theatre for a limited run of just 60 shows. This follows a hugely successful, sell-out season at Regent’s Park Open Air Theatre in 2016 and again in 2017. Following Jesus in the fraught seven days at the end of his life, the show boasts a famous soundtrack that includes the songs "I Don't Know How to Love Him", "Hosanna", "Everything's Alright" and the titular "Jesus Christ Superstar". Timothy Sheader directs. The Regent’s Park Open Air Theatre production of Jesus Christ Superstar earned itself the Evening Standard Award for best musical as well as the Olivier Award for best musical revival. It was praised by critics and audiences alike. 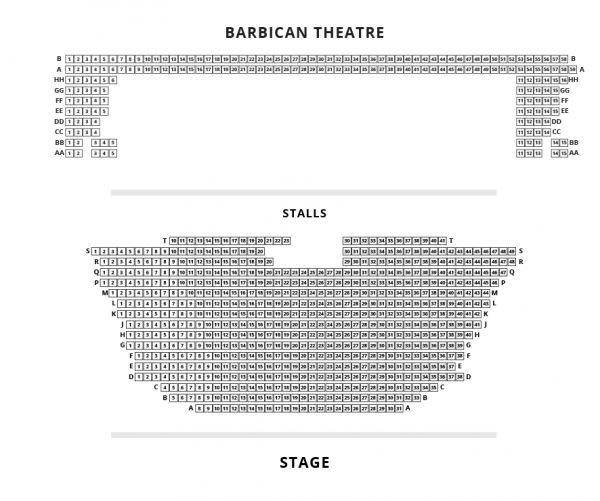 It now finds a fitting home on the Barbican Theatre's epic, sprawling stage. Andrew Lloyd Webber is a household name, having composed 13 musicals including Evita, The Phantom of the Opera and many more. He received a knighthood in 1992 and has been decorated with a great many accolades, including six Tonys, an Academy Award and seven Olivier Awards. The lyrics were written by Tim Rice, one of Lloyd Webber's most frequent and famous collaborators. Rice was knighted in 1994 and is the recipient of the fully collection of Emmy, Grammy, Oscar and Tony Awards. Timothy Sheader is Regent's Park Open Air Theatre's artistic director and he has also directed shows across the world, including My Fair Lady at the Aarhus Teater in Denmark and Barnum at Chichester Festival Theatre. Musical direction is courtesy of Tom Deering while choreography comes from Drew McOnie. Jesus Christ Superstar stars Matt Cardle (Strictly Ballroom) as Pilate alongside Robert Tripolino (Rags the Musical) as Jesus. Sallay Garnett takes on the role of Mary while Ricardo Afonso plays Judas. They are joined by Nathan Amzi and Cavin Cornwall. Jesus Christ Superstar is Lloyd Webber and Rice at their entertaining, hard-hitting best. Don't miss this much-lauded production when it arrives at the Barbican Theatre; catch it from 4 July 2019 until 24 August 2019. If you adore Evita, Cats, Joseph and the Amazing Technicolor Dreamcoat and all Andrew Lloyd Webber's other classic musicals, you won’t want to miss out on Jesus Christ Superstar live on stage.